The Icelandic power market has been experiencing important changes in the last few years. Most important is the increased demand for Icelandic electricity. Which is no surprise, as Icelandic power firms have started offering interesting new type of long-term contracts, were base-load green electricity is made available at very competitive prices. A good example of the recent trend in Iceland’s power market, is the new contract between Orka náttúrunnar (ON), owned by Reykjavík Energy (OR), and the California based Silicor Materials. It was in last September that ON and Silicor signed a power purchase agreement (PPA) for an equivalent of 40 MW of power. 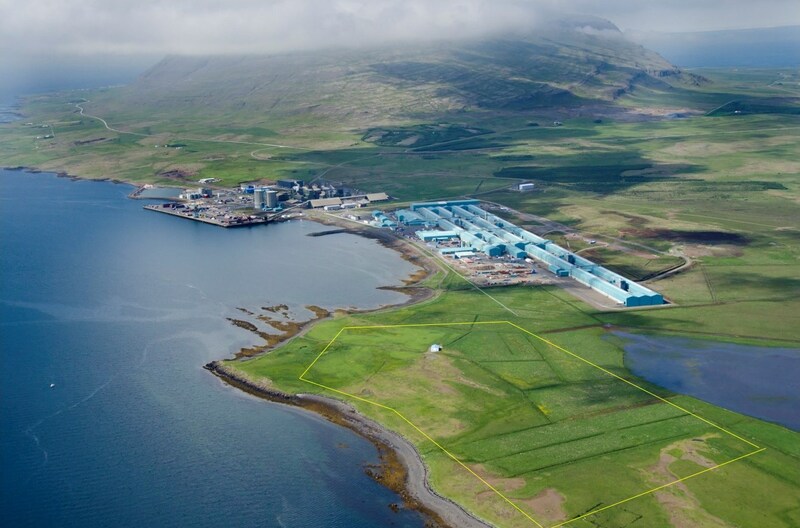 The electricity will be utilized at Silicor’s new solar-grade silicon plant, which is being constructed at Grundartangi in SW-Iceland. The contract is for a period of 15 years, with possibility of extension. Power delivery will be starting in 2018. According to a press release from ON and Silicor, the new PPA raises the price of ON’s renewable energy significantly. What is also very important, is that the power tariff is not linked to the price of the product’s buyer. Thus, this contract is quite different from ON’s current sales with regard to power-intensive industries. Until now, the said 40 MW have produced power sold to the Icelandic power company Landsvirkjun, which has sold the power to the aluminum industry in Iceland. There, the power tariff has been linked to aluminum price at London Metal Exchange (LME). This kind of risk-factor is not to be found in the new PPA of ON and Silicor. According to the press statement, mentioned above, the wholesale price in the PPA is “approaching the retail price” which households in Iceland pay for electricity. This means that the wholesale tariff Silicor Materials will pay for the power is close to 43 USD/MWh. According to analysis by Askja Energy Partners, this means that ON will receive somewhere between three to four times higher price for the electricity sold to Silicor than it is receiving today (from Landsvirkjun). In recent years, the average price of electricity to energy-intensive industries (without transmission cost) in Iceland, have been close to 20 USD/MWh. Thus, it is obviously very important for the Icelandic power industry that new electricity contracts with energy-intensive customers are based on a price that is approaching 43 USD/MWh. However, this is not a surprising development. New energy intensive facilities locating in Western Europe or in Northern America have very little chance of getting as positive long-term power contracts as in Iceland. In addition, the Icelandic electricity is 100% generated from renewable sources. And the transmission system in Iceland is renowned for being one of the best and most reliable in the world. Therefore, it can be expected that in the coming years we will see numerous firms wanting to locate their new production facilities in Iceland. Silcor Materials is only one example; there are already several other examples of both new silicon projects and new data centers in Iceland. Such companies and Icelandic power seem to be a perfect fit.